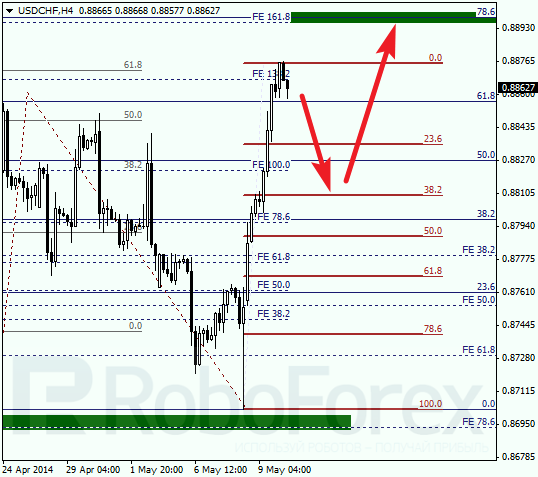 Last Friday, Euro reached the group of lower fibo levels and started new correction with target at local level of 38.2%. If later price rebounds from it, pair may start new descending movement. 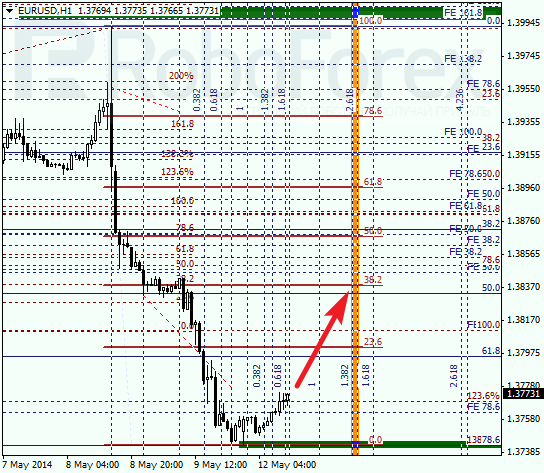 As we can see at H1 chart, pair rebounded from its lower targets and started moving upwards. 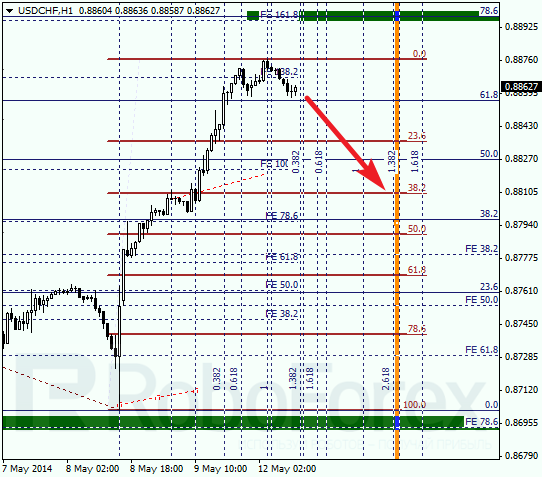 According to analysis of temporary fibo-zones, price may reach level of 38.2% by the middle of the week. We should note, that if price breaks this correctional level, market will continue growing up towards level of 50%. Franc hasn’t reached its main target yet. Probably, in the nearest future price may start correction towards local level of 38.2%. 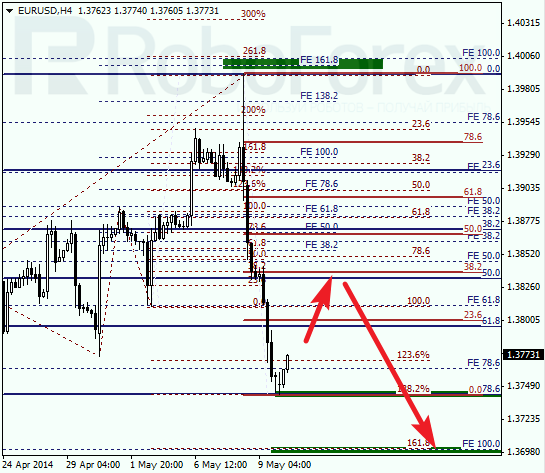 If later pair rebounds from it, price will start new ascending movement towards the group of upper fibo levels. According to analysis of temporary fibo-zones at H1 chart, Franc may reach its correctional targets during the next several days. If price breaks level of 23.6% downwards, market will continue falling down towards level of 38.2%.